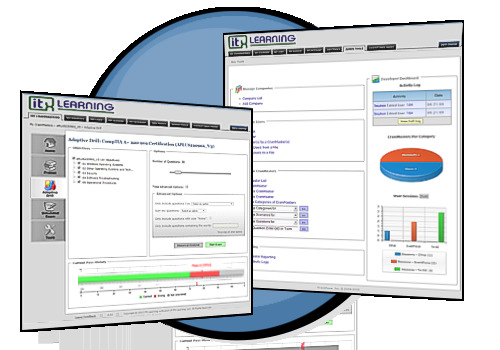 ITX Learning provides an experience that combines the feature set of traditional Learning Management Systems with advanced functionality designed to make online learning engaging. Unlike the others, ITX Learning allows you to move your training and certification goals to the web without sacrificing any features. Users can access our platform anywhere, on any device to learn, share, and grow in real time. Learn the IT skills you need to know with our expansive course library as it continues to grow. From dynamic video courseware with engaging instructors and our hands-on lab simulations, to enterprise-class reporting and support, ITX Learning is ready to be your number one resource for all the training, test prep, and assessment requirements you need.